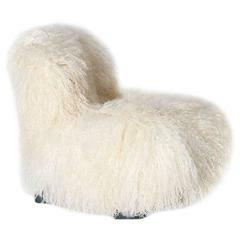 The ‘Tanit Soft’ chairs are available with an option that makes them unique objects in terms of richness and comfort: an upholstered and quilted cover of various colors that is put on the frame and fastened with a Velcro strap. The upholstered quilt of seat and back recalls their respective chequers and horizontal strips by means of hand sewn stitching. The covers are available in black, red or blue velvet and in beige or white linen. COLLAGE is a part of the history of Italian Industrial Design: it revives the historical alliance dating back to the 60’s between architects and craftsmen, when the former designed furniture and fittings, and the latter manufactured them, anticipating the new wave of serial products that would turn their workshops into small enterprises. COLLAGE revolves around the story of a designer, Arch. Francesco Soro, awarded with the Compasso d’oro prize in 1981, who is now coming back with a fresh approach, experimenting new materials and maintaining the principles of design accuracy and care for details. 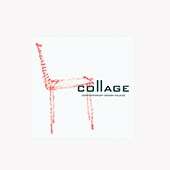 The COLLAGE brand stands for research, choice and selection of new materials and unique shapes that are put together to form a new harmonious whole. This research translates into a versatile production that is able to combine traditional creations with original and experimental shapes in a timeless style. Versatile, because it combines compositions and design methods apparently different from each other, but having formal and design similarities. The collection does not belong to any temporary ‘trends’ but it freely expresses itself, being sure that it will preserve its originality over time. It is a collection that adapts to various settings – home, work or exhibition – without ever losing the key elements of its well-defined and exciting identity. COLLAGE is art for use. Delightful little music chair in great condition. Newly upholstered in white linen. Measures: Height 60cm x width 50cm x depth 50cm.